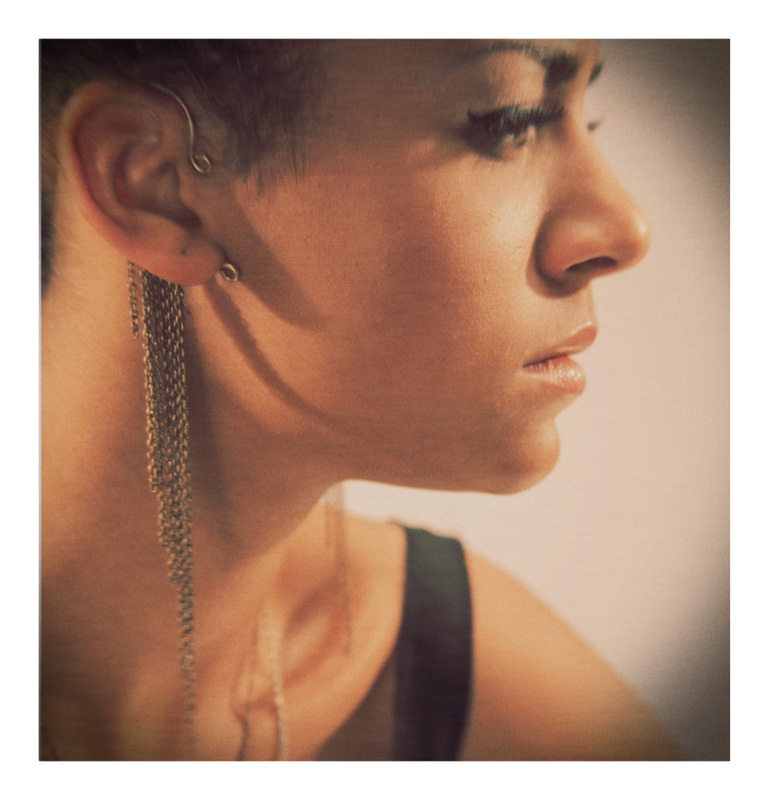 Ohh ear cuffs.. I love 'em! They look so cool! Been searching for the perfect one for ages! 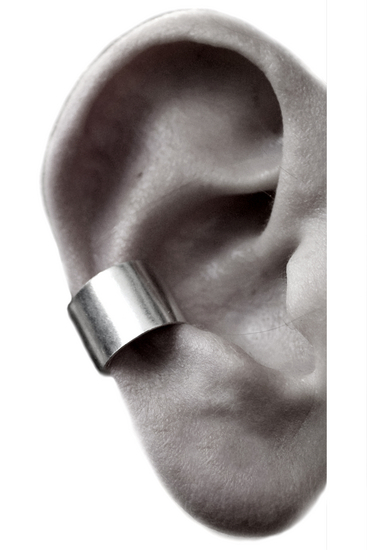 I'm now thinking of ordering this simple variant, from Fashionology (which is by the way one hell of a webshop for jewelry). This one below costs 15 euro and comes in 3 sizes, a few cm smaller and bigger than this one. Not only am I going to order that one, I'm thinking about making one myself. 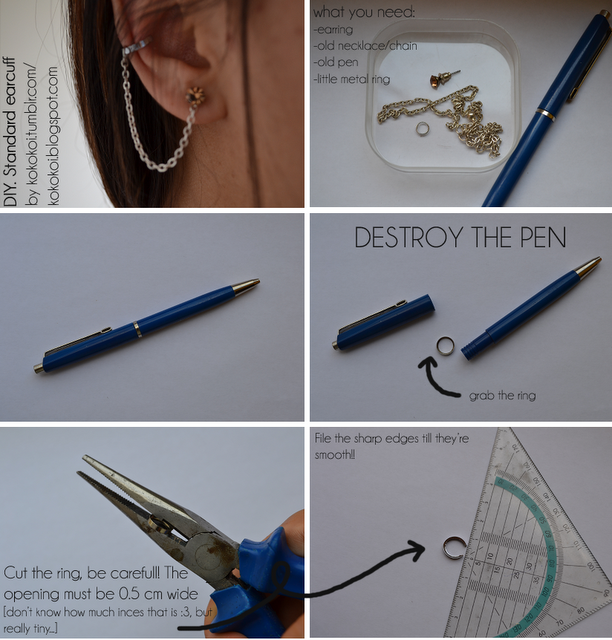 Found a cute DIY on a blog. Ever checked out this blog, Kokokoi.blogspot.com? Really worth the try. See the DIY below. And this is what it looks like, isn't that the cutest? With that ring of a balpen, very creative! Really like these but I personally would like them even better if they were silver, even though that part isn't supposed to be visible, I'm silly critical like that. Oh and this is something I saw at Kenza's blog. Kenza who I also adore by the way, she is so gorgeous and such a source of inspiration! Look how cool this is, gonna make one of these myself soon if I find the time and the right material. 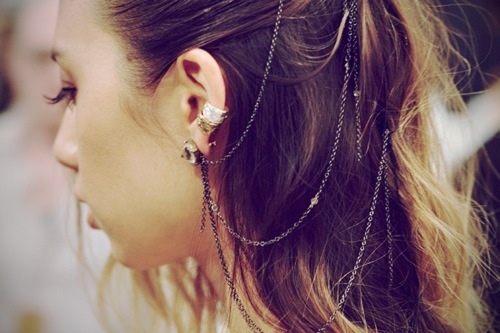 What do you think of ear cuffs? You wear them yourself? Thank you for your comment, all I can do is agree!